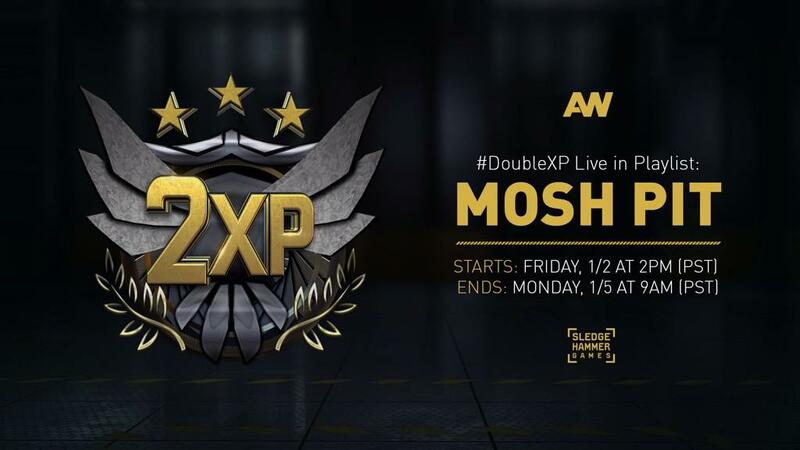 Sledgehammer Games is continuing the New Years celebration with a round of Double XP coming to Call of Duty: Advanced Warfare‘s Mosh Pit playlist this weekend. The switch is turned on now across all platforms, so you can already start earning twice the XP until this Monday, January 5, at 9AM Pacific. Next Friday, be on the look out for the start of the first season in Advanced Warfare’s Ranked Play mode. More details can be found here.